The historic youth organization announced today that their program for children 11 to 17 years old will be known as "Scouts BSA," starting in February 2019. Part of the reason for the change is that now girls will be invited to join the older kids' group -- and have the opportunity to advance to the highest rank, Eagle Scout. The parent organization name will remain the Boy Scouts of America and the Cub Scouts program will keep its title, as well. 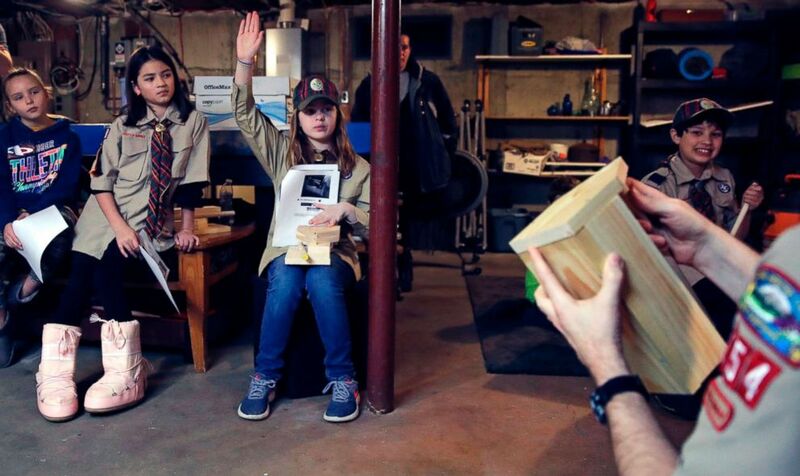 Tatum Weir, center, raises her hand as she prepares to ask a question while going over plans to build a tool box during a cub scout meeting in Madbury, N.H, March 1, 2018. "As we enter a new era for our organization, it is important that all youth can see themselves in Scouting in every way possible," Michael Surbaugh, chief scout executive of the Boy Scouts of America, said in a statement. "That is why it is important that the name for our Scouting program for older youth remain consistent with the single name approach used for the Cub Scouts." 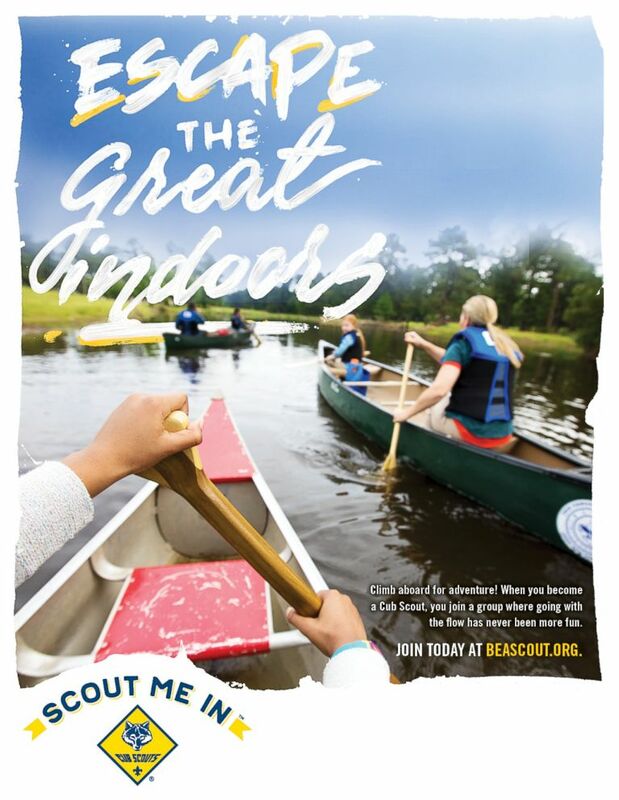 Also today, the BSA announced the launch of their "Scout Me In" campaign, which features girls, as well as boys, for the first time, enjoying the Cub Scout program together. Ian Weir, left, stands with his twin sister Tatum after a cub scout meeting in Madbury, N.H, March 1, 2018. 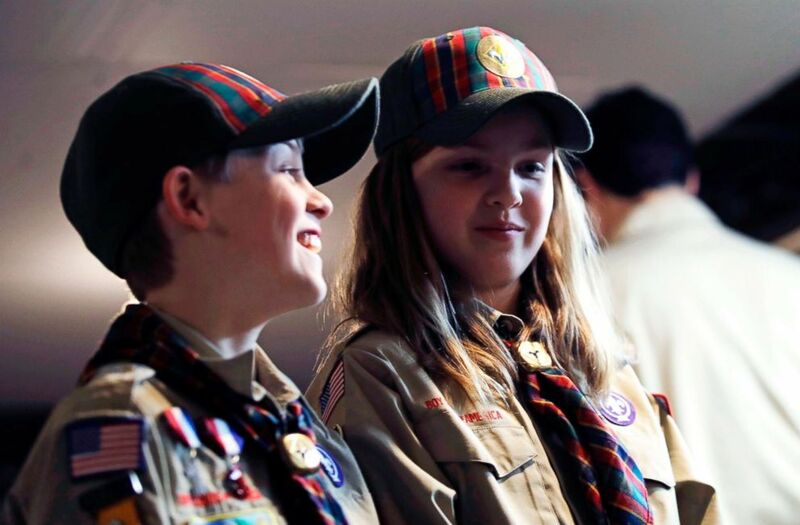 The twins already are planning to become the first set of girl-boy siblings to become Eagle Scouts. 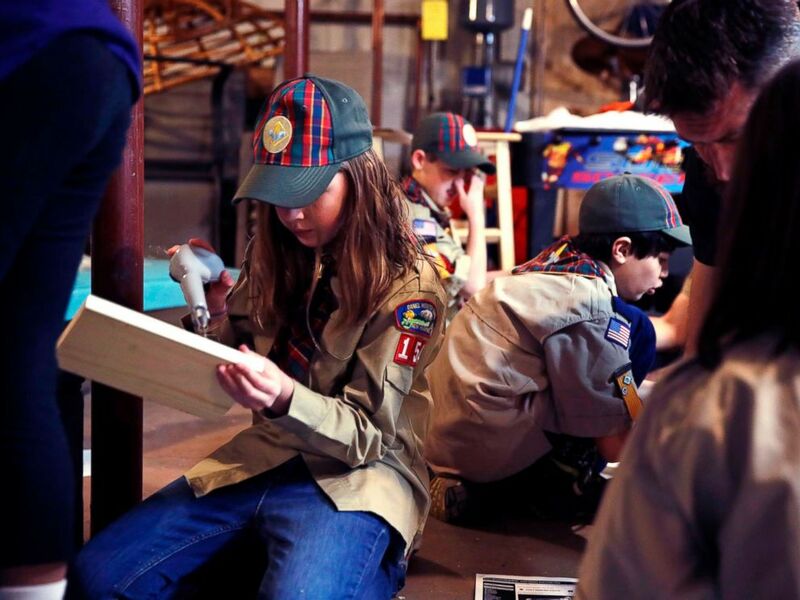 Last fall, the BSA announced that they'd be welcoming girls into the younger Cub Scouts program, BSA spokeswoman Effie Delimarkos said in a statement to ABC News. 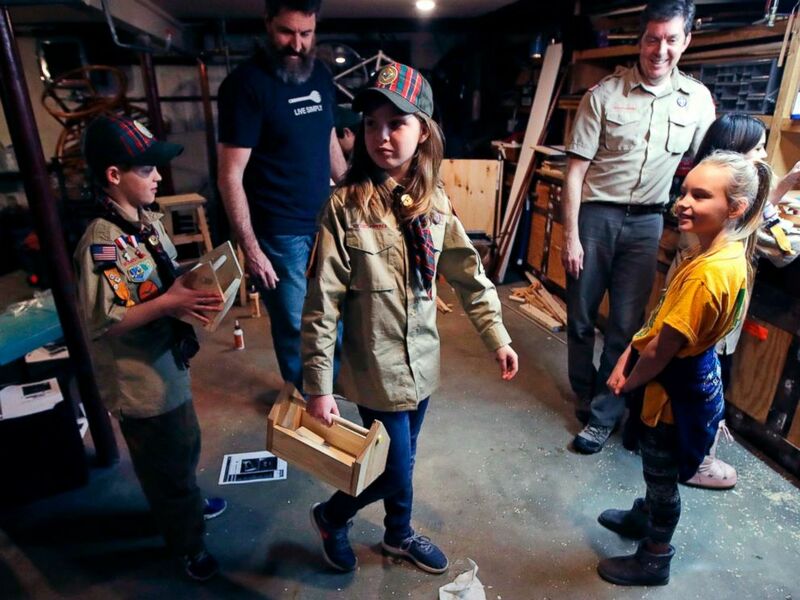 "Our Early Adopter Program, a soft launch allowing girls to participate in Cub Scouts ahead of the 2018-2019 program year, currently has more than 3,000 girls across the U.S. enrolled so far," Delimarkos said. "Seeing that enthusiasm among early-adopter packs has been high, some early adopter councils are continuing that enthusiasm into spring recruiting, with registration options for girls available to all councils starting June 11, 2018." Tatum Weir, center, carries a tool box she built as her twin brother Ian, left, follows after a Cub Scout meeting in Madbury, N.H., March 1, 2018. In response to BSA's changes, Sylvia Acevedo, CEO of Girl Scouts of the USA, said that their organization is the "premier leadership development organization for girls." “We are, and will remain, the first choice for girls and parents who want to provide their girls opportunities to build new skills, explore STEM and the outdoors, participate in community projects, and grow into happy, successful, civically engaged adults," Acevedo told ABC News in a statement today. "We’re also dedicated to building that critical STEM workforce pipeline that businesses and communities across the country are looking for." Tatum Weir, left, sets to drill a pilot hole while building a tool box during a cub scout meeting in Madbury, N.H, March 1, 2018.